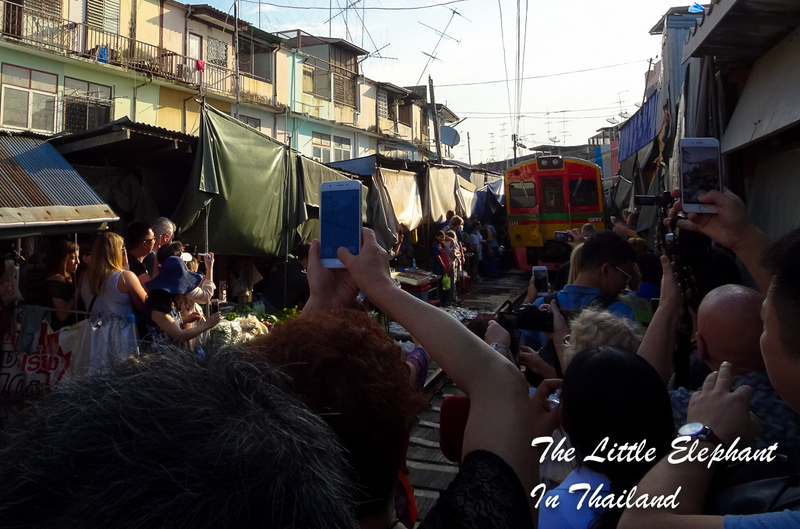 The name means "Umbrella pull down Market" More famous as the "Mae Klong Market". The market is build along / on the railway and every time a train passes (17 times a day) the people will remove their little shop. As you can see it has become a bit of tourist attraction, especially in the morning when all tour busses are going to the floating market and make a stop here.